Book Tour Stop # 1: Baby Fair! 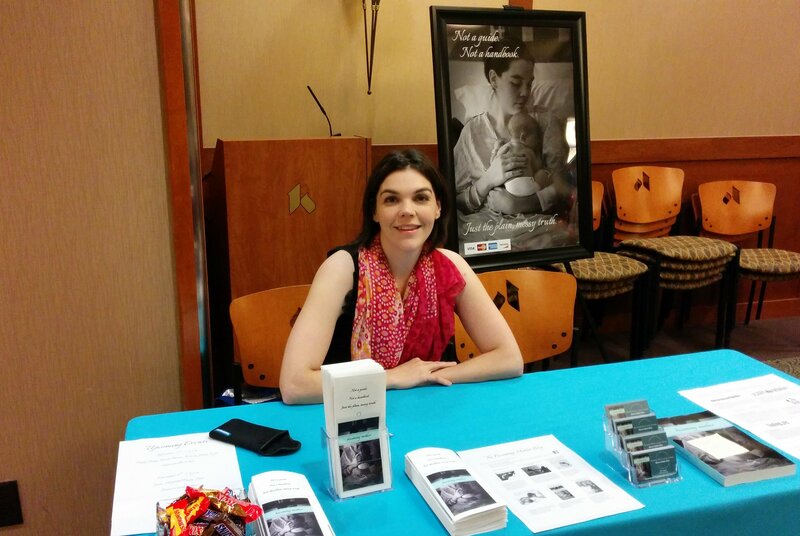 Today was the first live event for the book tour of “Becoming Mother: A Journey of Identity.” I had a booth at the Kettering Medical Center’s Baby Fair in Kettering, Ohio. It was a great venue to reach my potential readers–so many new first-time mothers! My own claim to fame is that my book was the first choice for the first raffle winner who had the opportunity to choose an item from the donated swag table. Take that diaper bags and soulless gift cards!!! Check out the Events page for more updates on where I’ll be next. If you have any suggestions, in the Ohio, Indiana, and Kentucky area, please let me know!